Did you know every 3 days a child dies in an ag-related incident and 33 children are injured every day? * If you are concerned about the safety and well-being of your family on the farm then plan to attend the Women in Agriculture Network Fall Seminar being held in Morris. University of Minnesota Extension and USDA Farm Service Agency are hosting this event on September 13, 2016 at the West Central Research and Outreach Center, in the Ag Country Auditorium. The focus of this quarter’s seminar is Women Run the Farm: Understanding the business and keeping my family safe. 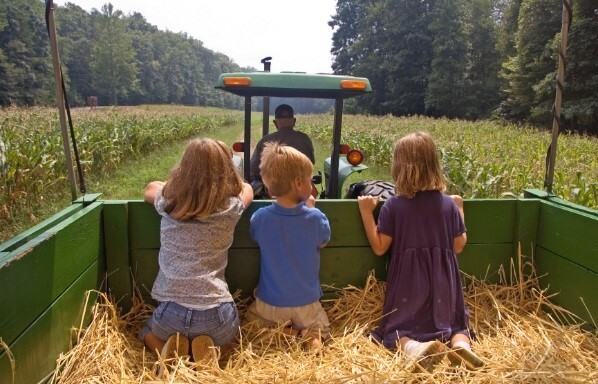 Our focus of the day will be farm safety and will discuss creating a culture of safety on your farm, how to balance priorities, and will provide the opportunity to tour the West Central Research and Outreach Center to get new ideas for farming practices. The day will give attendees the opportunity to learn and network with other women in agriculture from the region. Registration begins at 8:30 am, with the seminar convening from 9:00 am to 3:30 pm. Registration is required for this event by Sept. 9th. Please RSVP at: z.umn.edu/SafetyReg or contact Mary Jo Fox at 320-235-0726, ext 2001 or foxxx055@umn.edu. Cost for the program is $20. Payment can be made the day of the event via cash, check, or credit card. We thank MN Corn Grower’s Association and Minnesota Soybean Research and Promotion Council for their sponsorship support of this program. For more information regarding the seminar feel free to visit: z.umn.edu/SafetyProgram.